In 1870, Charles de Pesters and Johannes van Marwijk Kooy established the Amstel Brewery on the Mauritskade in Amsterdam. 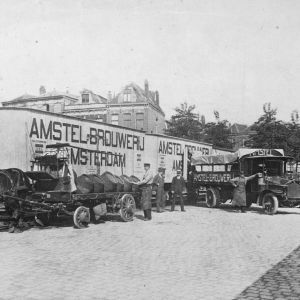 While Amsterdam cafes, beer houses and restaurants remained the most important market for Amstel beer, sales opportunities expanded outside Amsterdam parallel with the development of the railway network. Agents along the railway worked hard to interest the innkeepers for Amstel beer. Virtually all these agents were also active as bottlers. 10 years later, in the 1880s, export started to the colonies in the Dutch East Indies and the Dutch Antilles and Surinam. This was followed shortly afterwards with export to the rest of Europe. 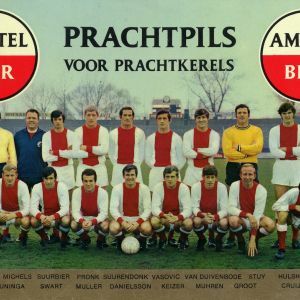 Amstel was the favourite beer for many Amsterdammers. 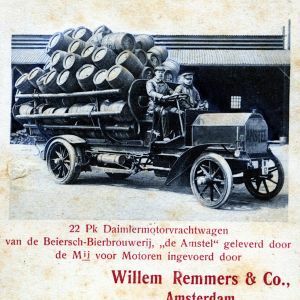 In 1907, the brewery bought its first truck to deliver beer barrels in the Amsterdam area.Outside Amsterdam, fewer customers made the step to Amstel beer however, with the take-over of small breweries and the sales outlets the company blossomed and grew. 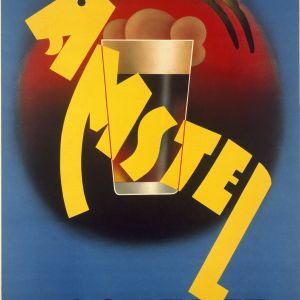 During the First World War, the Amstel company was in a state of turmoil. 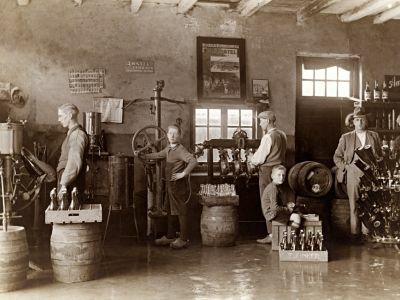 An ever-increasing shortage of raw materials during the war years resulted in the halt of Amstel beer export. 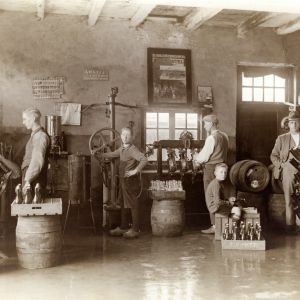 The competitor, the Van Vollenhoven Beer Brewery, the largest exporter of Dutch beers had also the same troubles. In 1941, both Heineken and Amstel formed a joint venture to buy the Van Vollenhoven Brewery and prevent it from coming into German hands. After the Second World War, the Dutch consumption of beer declined. This was due to the increasing popularity of soft drinks and the relative good value of jenevers. As a result, Amstel saw the opportunity for a cheaper beer: Amstel Oud Bruin (Brown beer). This sweeter beer was liked particularly by women in the South of Holland. Also with the declining sales in Holland, Amstel decided to restore its Export position. 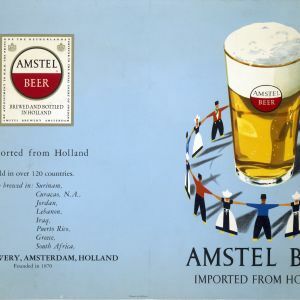 Up until the 1951s, Amstel had the advantage over the German breweries as the latter were not allowed to export. However, Amstel decided to brew locally overseas. This resulted in 1955 in the first overseas brewery: the Surinam Brewery in Paramaribo with the famous Parbo beer. 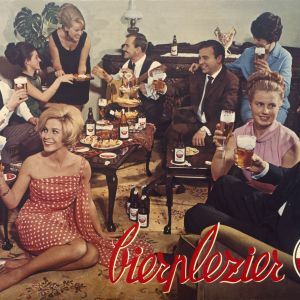 In the mid 1950s, the Dutch beer consumption rose again partly thanks to the very successful collective beer advertising “The beer is best again”. In addition, the Amstel logo was restyled and the importance of advertising recognized. 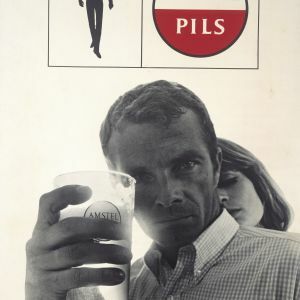 The circular red and white Amstel logo resulted in a powerful and very recognizable company logo. 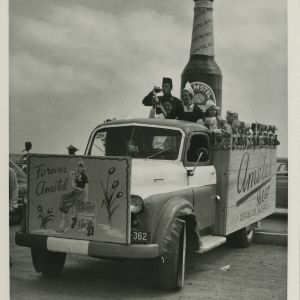 Amstel continued to use the power of advertising for local and export markets. 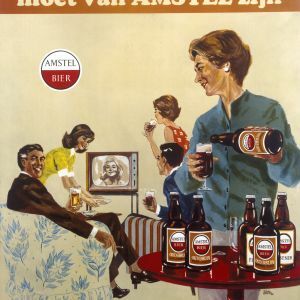 In 1968, Amstel and Heineken merged and up until the early 1980s Amstel beer was brewed in the Mauritskade. Since this merger, Amstel continues to be an important Corporate brand and sales have continued to increase exponentially. The brand Amstel awareness and the achievements continue to be supported by important, national and international, sponsored events.